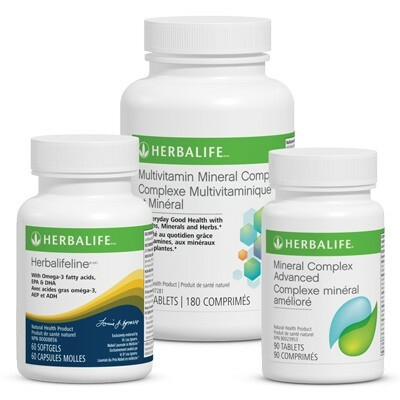 Nutritional Product Sample Pack – Contains 1 unit of Formula 2 Multivitamin Mineral Complex, 1 unit of Mineral Complex Advanced and 1 unit of Herbalifeline®. Choose the Formula 1 Meal Replacement shake mix flavour you prefer. Add any Herbalife Nutrition Enhancers to target key challenges to this convenience pack to support your weight management.